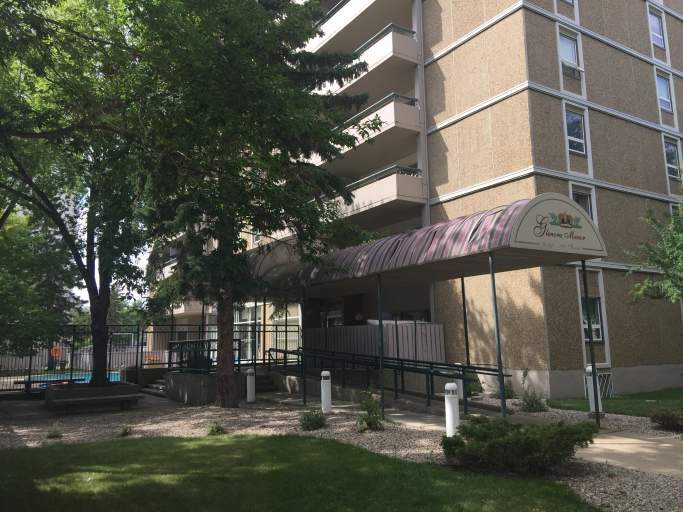 10140 120 Street - Condo in Oliver w/ Outdoor Pool! 2 Bedroom Condo in Oliver!! Enjoy your 10th floor view of Downtown Edmonton from the comfort of your own private balcony!! Very well maintained building featuring an outdoor pool in the summer and a year round workout room! PERFECT LOCATION!! Close to Downtown core, including historic Jasper Avenue and the new Brewery District, and Grant MacEwan University!! Plus its just a short train ride across the river to the University of Alberta! This open concept condo features a full kitchen with fridge and stove and plenty of cupboard space! There are two large bedrooms, the master having its own private half bath, and another full bathroom. Plenty of space for all your needs! Heat and water included - pay only POWER! 2 Bedroom Condo Availability - 10140 120 Street - Condo in Oliver w/ Outdoor Pool!